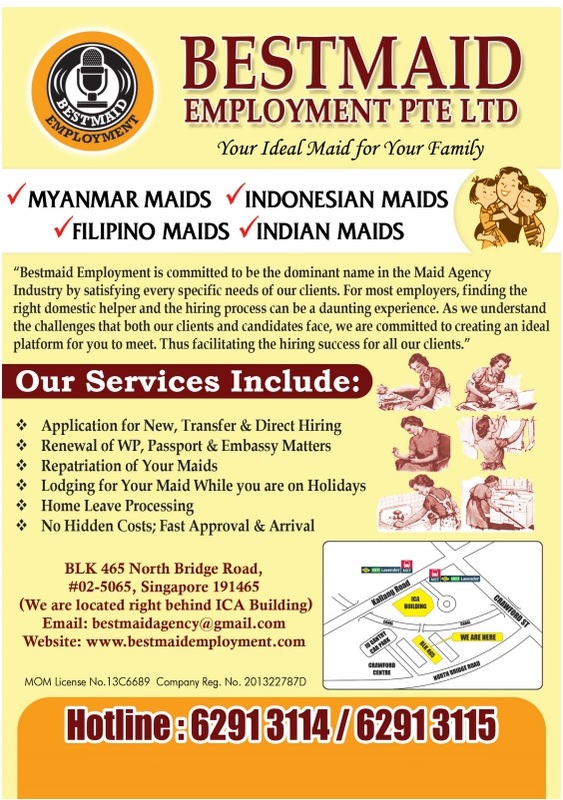 Bestmaid Employment is committed to be the dominant name in the maid agency industry by satisfying every specific needs of our clients. For most employers, finding the right domestic helper and the hiring process can be a daunting experience. As we understand the challenges that both our clients and candidates face, we are committed to creating an ideal platform for you to meet. Thus facilitating the hiring success for all our clients.